Business leaders create new businesses and markets—seemingly almost overnight. Technology and competitive pressures demand new speed and response to meet market and customer demand. There is a new “innovation imperative” that can’t be ignored. Why is this? Competition is more intense than ever because of international powerhouses and the spread of disruptive new technologies and business models. Whereas in the past driving out cost and gaining new efficiencies through traditional methods were used, it is no longer good enough. To thrive in today’s hypercompetitive market, business must innovate by creating new value (alongside driving out cost and inefficiencies) faster and more often than ever before. A. Finding New Ways Spot Hits. Focus groups and market research are no longer enough. Big data and artificial intelligence now lead the way to identification and validation of product, service, value and customer experience gaps. Leaders also accelerate integration of marketplace observers and influencers to find opportunity ahead of the competition. Finally, innovative companies work hard at integrating their customers—from strategy through value delivery and measurement—in their business to remain close to the market and foster customer loyalty. B. Create Agile Teams. Companies must start new initiatives with small teams and build some fences around them so they don’t get caught up in bureaucracy and process red tape. Allow the small teams to exercise an entrepreneurial mindset bringing creativity to identify, validate and package new products, services and customer experiences. Leading companies are highly agile by nature, moving into new opportunity through smaller teams. C. Breaking Unwritten Rules. It is the invisible, the unseen which slows innovation. The weight of momentum behind the status quo or legacy thinking holds back opportunity. Break through these barriers. Brainstorming off-site or with outsiders can bring fresh thinking and new perspective that leads to new opportunity. For example, a client of ours, in a commodity market, needed to identify a way to differentiate themselves and innovate a new product. They stopped thinking “not invented here” and put a team of internal superstars and proven outsiders to explore new concepts and ideas. The outcome was two new hit products. D. Outsource Tasks to Specialists: Usually companies shed non-core tasks to outsiders to cut costs. Another use for outsiders is to bring new skills and experiences to do innovate better and faster. Outside organizations can bring singular focus and attention to the requirement better than internal resources. Use their talent, speed, experience, perspective and lower-cost infrastructure to realize three innovative benefits: faster time to market, better product/service and a lower cost of doing business. E. When You Get It Right… Do It Again. Once an innovation in product, service, value or customer experience has proven successful, re-invent again as your competition will copy your innovation often at a lower cost. Continue to look for ways to use improve the product, service, value, customer experience or business model and re-launch into complimentary markets. Where there is success, make templates on what has been done and take those templates to other opportunities, creating and exploiting new opportunity every step of the way. The Afterburner Group has been leading companies in the technology, energy, services, manufacturing and non-profit industries to new and agile innovation for over 25 years. 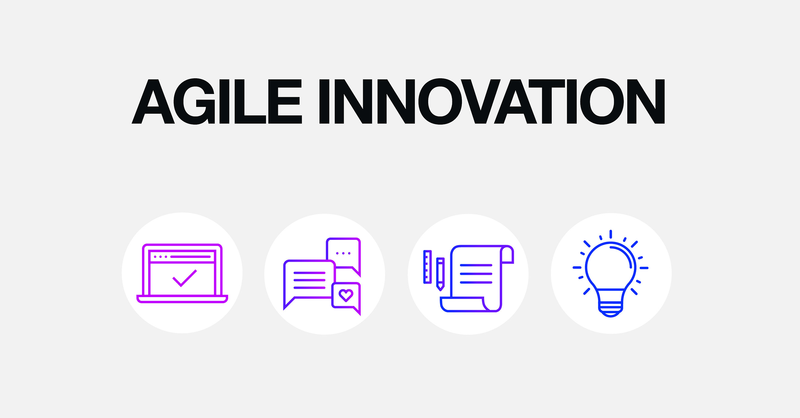 If you think that your company could benefit from a new wave of agile innovation, fill out the contact form below and we’ll let you know what that might look like and how you can benefit.